I truly picked this up because it is purple and the title is about mermaids. I wasn't adequately prepared for the content. 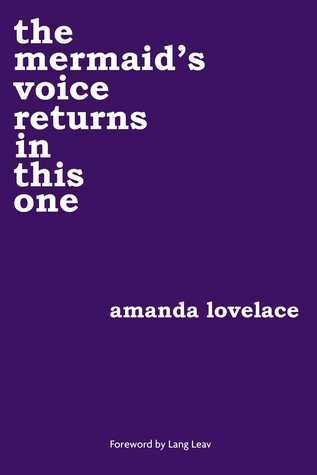 That being said, it is a very striking collection of poetry about abuse and surviving abuse. Several of the poems presented a vastly different mindset from that seen in the mainstream media when discussing the Me Too Movement - a welcomed challenge. Sign into Goodreads to see if any of your friends have read The Mermaid's Voice Returns in This One.